I live and work in the north east of England. I produce historically and politically motivated work which is designed to challenge the general status quo and nonsense we are continually fed on our so called news channels in the west. My work has been shown in exhibitions across the globe. 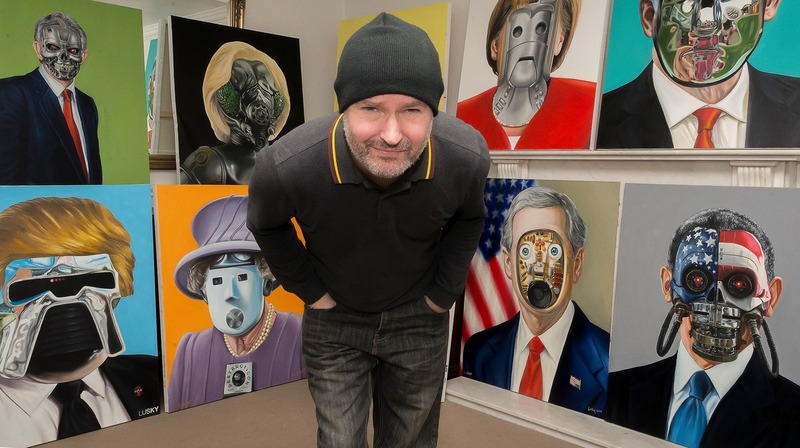 I've exhibited in London, California, Belfast, Toronto, Taiwan, Cornwall and Newcastle. My latest exhibition was at the Saatchi Gallery as part of the Cash Is King project. I featured at the gallery and in the book and both my pieces of work sold with a official Saatchi Certificate of Authenticity. I work on canvas in oil and acrylic and also paint satirical pieces on US American dollar bills. I produce books which these collections feature in and can be purchased here in the store. I also manufacture my own range of collectibles known as Start Wars. The card backs feature my oil paintings which I'm best known for. The Machine Men. I'm presently working on a new range of collectibles featuring my Mr Nasty Corporatist character and a new book called Bald Old Man which will feature some of my thoughts in a graphic novel cartoon format. 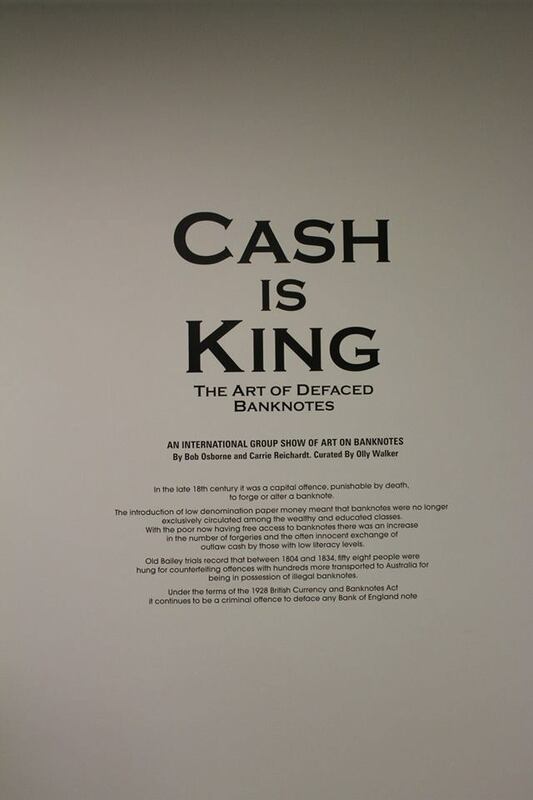 Two of my works on currency featured in the Cash Is King exhibition at the Saatchi Gallery in London. They both sold with an official Saatchi certificate of authenticity. 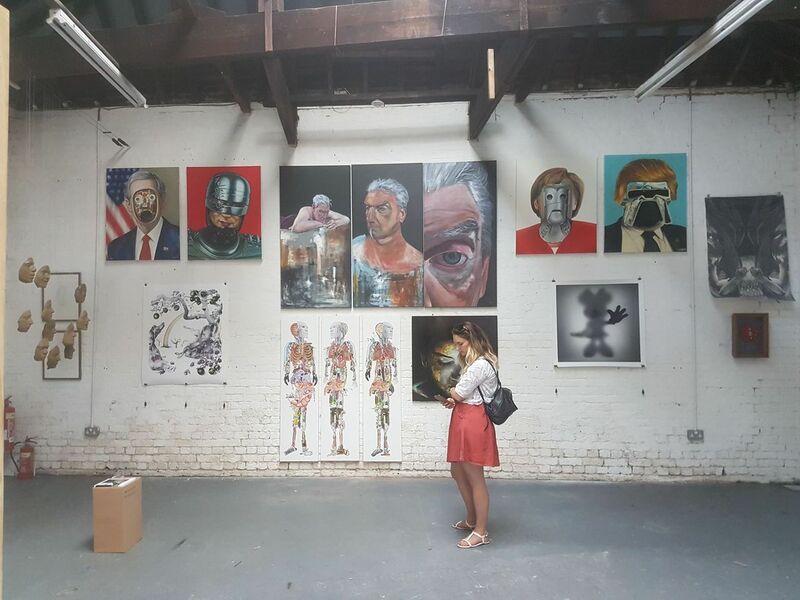 Four Machine Men paintings featured at The Crows Nest gallery in 2018 too.